Hailing from Uttar Pradesh, Mishra is a civil engineer-turned IPS. He is a product of Banaras Hindu University. He is 56-year-old. Kaumudi, 54, did MA in English from Panjab University before entering into IPS. In late 1990s, he worked with Central Bureau of Investigation (CBI) and was stationed in Delhi. A product of Delhi’s Jawaharlal Nehru University (JNU) where he studied international studies, Abhay then got into IPS in 1986. Between 2000 and 2004, he worked with CBI. He also had a foreign posting — in Nigeria. A nuclear physicist by training, Asthana has a doctorate degree. Studied in Banaras Hindu University, Varanasi, he later also completed another course in the University Of Alberta, Edmonton, Canada. Asthana has authored 15 books. 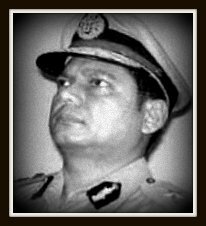 Hailing from Bihar, Choubey did his post-graduation in history before getting selected as an IPS. He has been heading the North Bengal frontiers of the BSF.